YOU CAN FIX IT, WE CAN HELP! Your Complete R2R J2534 Connect Pass-thru Programmer Solution! CAN FD: Supports Flexible Data Rate CAN,(being introduced in the near future). J2534 Connect Pass-thru Programmer v05.00 API: The newest version of J2534 Connect Pass-thru Programmer to give you the latest in pass-thru technology. 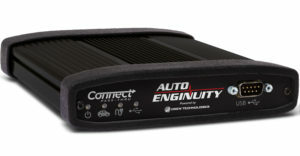 4 CAN Channels: Going beyond the 3 required by select Chrysler/FCA models, AutoEnginuity's J2534 Connect Pass-thru Programmer provides a 4th to meet the needs of future OEM applications. DoIP: Automotive Ethernet for advanced vehicle communications.